If one thing is for certain, you can never be too safe. The world we live in can be a very dangerous place. SnapMail by FNM Global Limited is a very useful personal safety app for iPhone that allows you to take a series of photos with one tap and upload them automatically. 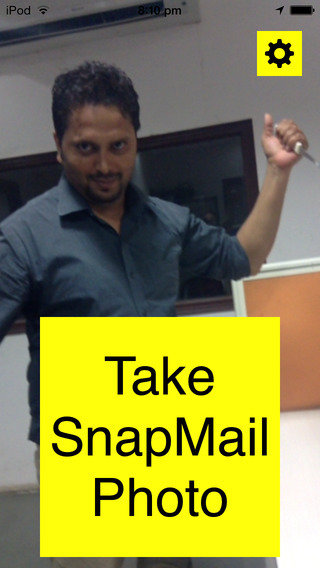 You might be wondering why something like SnapMail would be handy. If you ever feel unsafe or threatened by someone, you can open the app and quickly snap photos of the person in question. Usually this would deter anyone with criminal intentions because they know they’ve been photographed. Of course you could do something like this with the native photo app on your iPhone, but what sets SnapMail apart is that the app automatically uploads photos to an online database that you can access using your login and password for the service. Each photo also includes a timestamp and GPS location data, provided you grant location access to the app while it’s in use. What this means is that even if your phone is stolen or destroyed, any photos you capture remain safe. As I mentioned before, SnapMail automatically takes five snapshots whenever you press the shutter button. One thing I really like about the app is that the shutter button is massive, meaning you don’t have to spend time searching around the screen for it. When it comes to usability, SnapMail is incredibly intuitive and easy-to-use. Setting up an account is a breeze and only takes a minute. The app’s only purpose is to allow you to take photos and upload them to the online service, which means you don’t have to worry about navigating through menus in an emergency situation. Another thing I want to mention about SnapMail is the fact that the app itself takes up less than 2 MB of space on your iPhone. This means you can download the app and tuck it away without having to worry about deleting it in case you run low on storage. When it comes to price and value, SnapMail is available to download for free. There’s a premium upgrade, SnapMail Emergency, which is a subscription-based service that sends a warning message to five people if you find yourself in an emergency. Subscription prices range from $2.99 for one month up to $24.99 for 12 months. SnapMail Emergency works by sending you an email link after you take photos. If you fail to click the link within five minutes, five contacts receive an emergency text and email notification stating that you are possibly in distress. Overall, SnapMail is definitely an iPhone app that should be on everyone’s device. It’s easy to use and the added personal safety and peace of mind makes it even better. SnapMail is also available to download for free on Google Play. 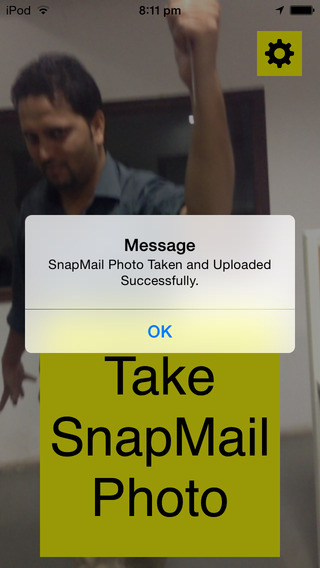 SnapMail requires iOS 7.0 or later and is compatible with iPhone, iPad, and iPod touch. This app is optimized for iPhone 5. I have downloaded this app and am very impressed with its features. It’s not the type of app you would use every day but you’ll be very glad you have it on your phone if there is ever an emergency. Brilliant app! I have insisted that all my family and friends have downloaded and made sure it is easily accessible on their phones.